Excellent ~ thanks for sharing your discovery. 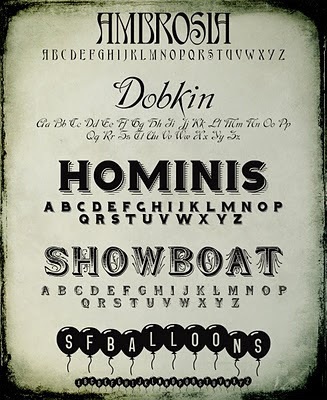 Thanks for posting your font finds - they are always exceptional. love these. thanks for finding! Thanks so much for all you do and the stuff you give away. I really appreciate it. Thank you! You make my Photoshop-ing life so much easier!!!! I just wanted to say how much I love your blog. I have used your textures so much. Thank you! I love the look of your blog layout as well -- harmonious. Thanks for the fonts. Love these fonts! I just recently discovered your blog and I'm enjoying all the goodness you share! Thanks so much! Love it when some one shares! Thanks love your flair.